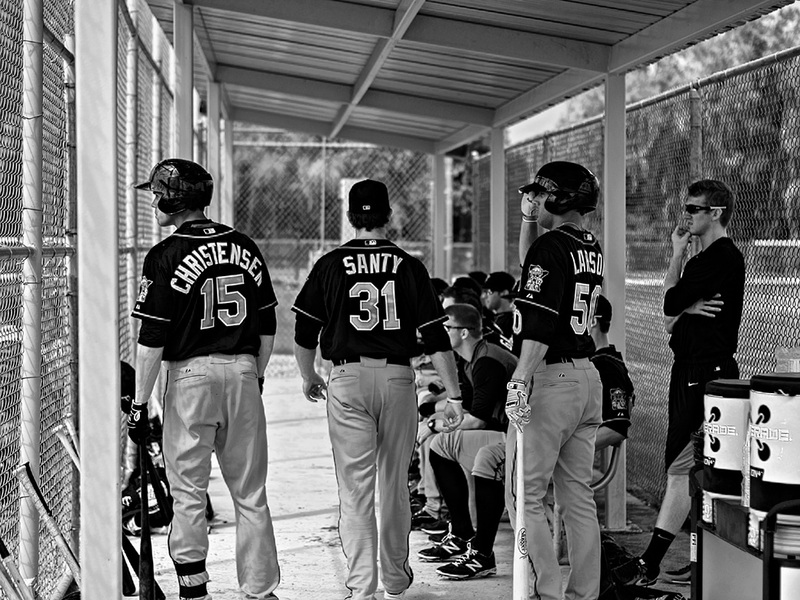 Frank Brault | all galleries >> Galleries >> Florida > In the 'dugout' - Minnesota Twins Class A Farm Team - B&W version below. My grand nephew, Steven, is a starting pitcher. He was drafted last year by the Baltimore Orioles. He was assigned to the Aberdeen IronBirds, a Class A short season team. This year he is at his first Spring Training with the Delmarva Shorebirds, a full season (142 games) Class A team. This spring training game was between the Shorebirds (orange) and A Minnesota Twins farm team. Olympus OM-D EM-1 ,Olympus M. Zuiko Digital ED 45mm f1.8 ,Best at original size. Congrats to your nephew. A wonderful candid and a sure sign of spring. V.
Great shot inside the dugout. Great clarity and detail. "V"
This is good, love that lens..and your shot! v.
Inspiring information and great shot. V.
Nicely taken and it tells a story- thnks for sharing more about it who knows if Steven will make it- hopefully he is a lefty.. VT!